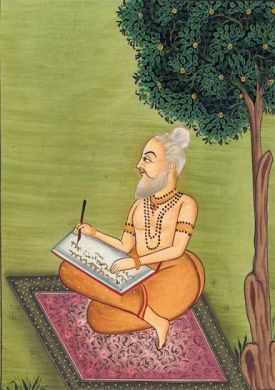 As per legends, it is believed that in the Dwapara Yug, there were seven Maharishis or seven sages known as Saptarishis, namely Kaushika, Vyasa, Bhogar, Agasthya, Vasistha, Bhrigu and Valmiki. Learned as they were, they had very high regard and compassion for mankind and therefore, they sourced their mystic powers that helped foresee the future of mankind (every living person as well as the dead ones), the present and the past. They recorded these visions onto palm leaves and these recordings came to be known as Nadi predictions or Nadi Shashtra. To these rishis it was clear – that man’s suffering is because of his past actions and these predictions sought out remedies for man so that they could lead a better life. 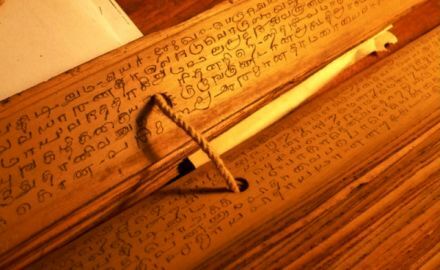 These predictions were recorded in ancient Tamil script known as Vatta Eluzhuthu on palm leaves. Because there seven different rishis who recorded these visions, there are different forms of Nadis recorded. Interestingly, there is a form of Nadi known as the Siva Nadi which is in the form of dialogues between Lord Shiva and his consort Parvati. Well known saint Kakabusanda sang verses to his disciple Gorakhnath about the fate and destiny of mankind. This form of Nadi is known as Kakabusanda Nadi. The other forms of Nadi are Brahma Nadi, Muruga Nadi, Atri Nadi, Shakti Nadi, Ganesh Nadi, Nandi Nadi, Jeeva Nadi, Dhruva Nadi and Suka Nadi. These leaves, i.e. palm leaves that were used to record these predictions, have been preserved over the years by applying peacock oil on auspicious occasions. While it is widely believed that there are Nadi leaves for every living as well as dead individual in the world, some say that these leaves were written for destined souls only. According to legends, the Moghuls attacked the palace of Tanjore in the 1540. During their invasion they found Nadi leaves stored in the secret chambers in the palace. Because they were unaware of their significance, it meant very little to them and therefore, the Moghuls destroyed the leaves. On the very same night, a Brahmin astrologer dreamt of Sage Agasthya who instructed him to save the leaves from being destroyed. However, this Brahmin had to walk more than 120 kilometres to reach the palace. But the astrologer did seek the leaves in the palace based on the vision in his dream. To his surprise, he found them and saved them. For this task rishi Agasthya had promised to bless the Brahmin and his future generations with success and auspicious merit. The Brahmin family went onto become the Shiva family – they were the custodians of the Nad Manuscripts. They could read and translate the predictions on the palm leaves. Over the year, the Nadi leaves were scattered, collected and categorised under the Chola reign in Tanjore. These leaves were then preserved in the Saraswati Mahal. The Nadi leaves continued to suffer under the Moghuls as they were burnt and destroyed. On the other hand, during the British reign, these leaves were given away to some families, some were sold off and even auctioned. However, the British held back those that revealed knowledge of alchemy, medicines and herbs. Years laters, the Nadi leaves were sought out by a comunnity of astrologers from Valluvar. They belonged to the Vaideeshwaran Koil, near Chidambaram in Tamil Nadu. From thereon, Vaideeshwaran Koil came to be known as the centre of Nadi Astrology in the country. Here, astrologers made a living solely from Nadi predictions. Many Brahmin communities in the area continue to practice astrology as some of them are in possession of Nadi leaf bundles. Some of these were collected over the years from different parts of India as well. The most popular form of Nadi Shastra carried out here is the Shiva Nadi. To gain a Nadi leaf of a certain individual, the individual first has to present their thumb impression. It is said that there 108 types of thumb impressions on this earth.